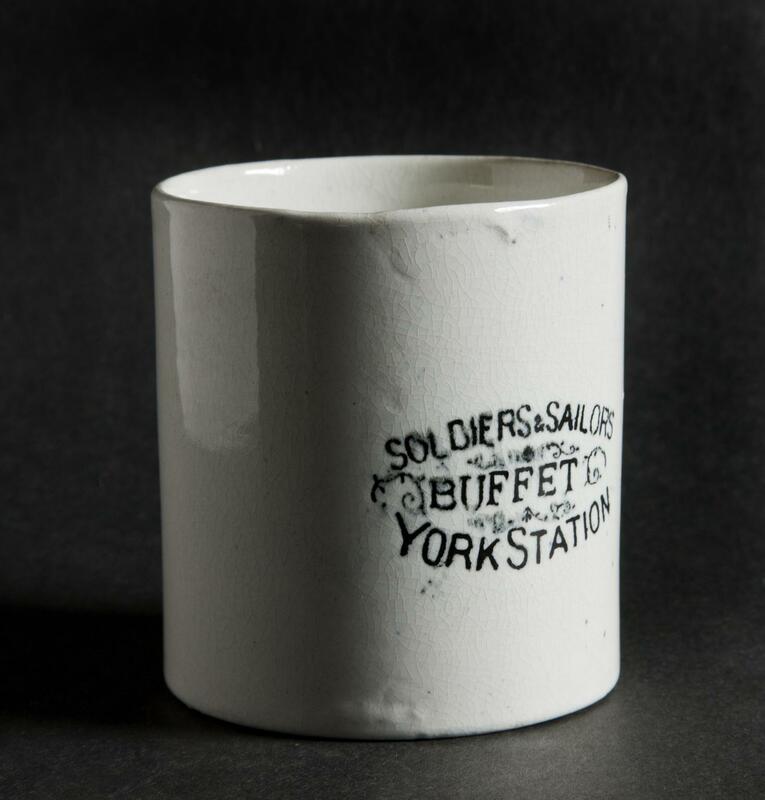 Mug, ceramic, North Eastern Railway, white with black printed logo "Soldiers & Sailors Buffet York Station". Special buffets were set up at large stations during the First and Second World Wars to cater for soldiers and sailors undertaking often long and difficult journeys: the buffets were staffed by female volunteers. 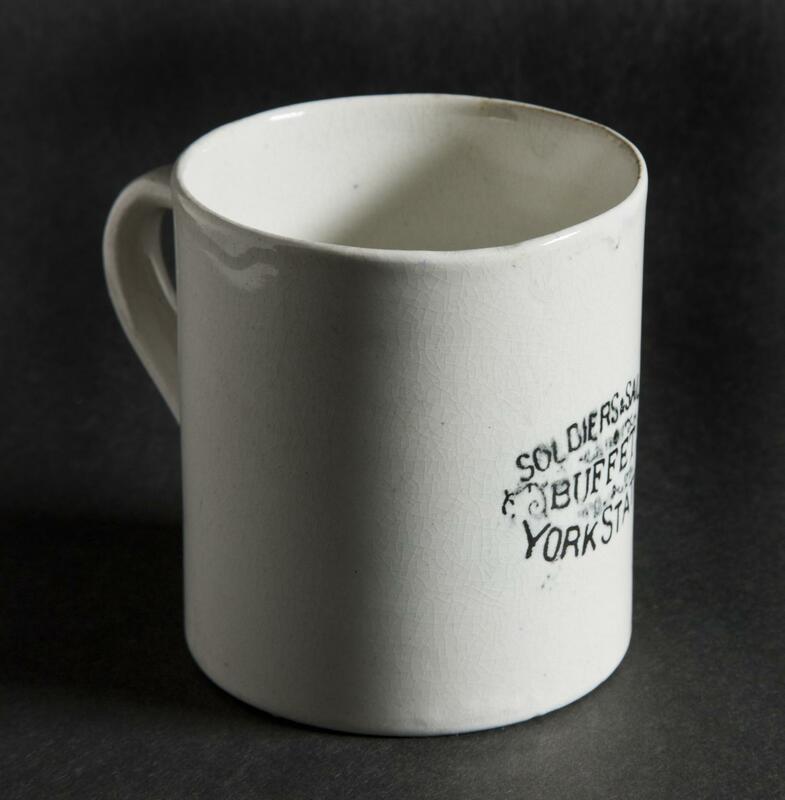 Not all mugs were returned. 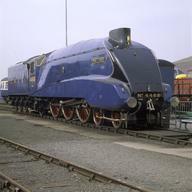 During the Second World War some were reported to have travelled as far as North Africa.